CMO 6110, repainted for Soo Line convention. 8-21-04. Mike Harrington photo. Sister caboose before rebuilding, Elroy, Wisconsin, 1949. Neil Torssel collection, Photo taken at Elroy, Wisconsin, 1949. 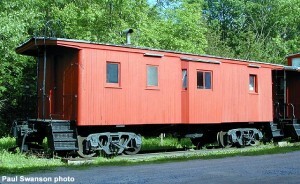 This bay window caboose is the oldest caboose at Mid-Continent. 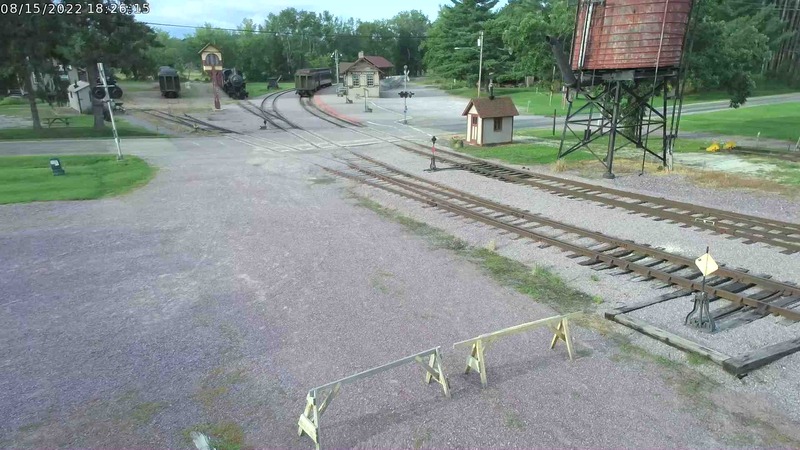 It was built in the Omaha Road’s Hudson, Wisconsin car shops in 1892. CStPM&O (commonly known as the “Omaha Road”) was formed in 1880 with the consolidation of several smaller roads to form a diagonal system reaching from Omaha, Nebraska via Sioux City, Iowa to St. Paul. 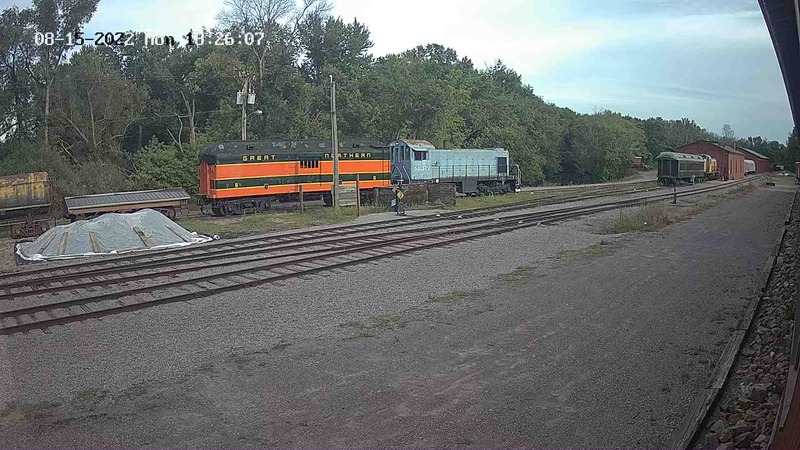 In Wisconsin, lines from Superior, Bayfield, and Elroy converged at Hudson to connect with the western mainline at St. Paul. In 1882, the Chicago & North Western purchased a controlling interest in the Omaha Road, but kept the road a separate entity. Throughout the years, the Omaha maintained a family relationship with C&NW; equipment designs and standards were often shared, although the identity remained unique. In 1957, C&NW officially merged the Omaha Road. 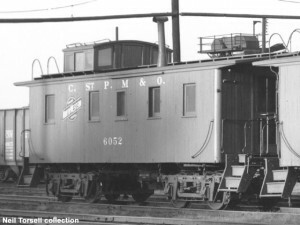 Not long after WWII, C&NW/CStPM&O instituted a rebuild program on a majority of the wooden caboose fleet to remove the cupola and replace with bay windows. It is not known when #6110 was converted, but most likely it was at this time. In 1974, with wooden cabooses nearly entirely replaced with steel counterparts, #6110 was sold to a private individual. The car arrived at North Freedom in April of that year. It has been used as a bunk facility since that time.